Links to a variety of Canon EOS camera articles, how-to-guides and other photography resources from Canon Digital Learning Centre and PhotoNotes.org. Learn photography and videography basics in our Canon EOS 101 series where we delve into shooting modes, auto focus, file types and more. Whether you're new to shooting photos or videos or just brushing up on skills, these tutorials for our Canon Live Learning students or entry level imagemakers range from setup to post production and offer tips on how to utilize the features of your EOS camera. The most compelling images reveal their subjects to viewers in unique ways. Macro photography accomplishes this creative and technical objective by taking both photographer and viewer into another world – one that explodes with startling detail or reveals previously unseen features. The invention and subsequent automation and miniaturization of electronic flash revolutionized photography. If you’re a photographer you’re no longer tied to available light. A reliable and portable light source is immediately at your disposal if you choose. The four main Canon EOS “creative” zone modes (P, Tv, Av and M) each handle flash metering in very different ways. These differences are probably one of the primary sources of confusion in the world of Canon EOS flash photography. Here are a few important terms and concepts that you need to know before understanding how these confusing points originate. High ISO Noise Reduction is a new feature that’s appeared on recent EOS Digital SLRs. 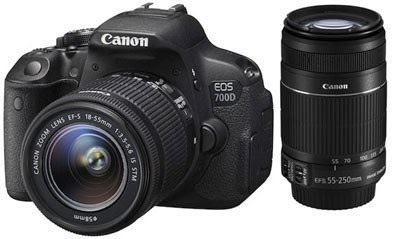 As of early 2009, it's a Custom Function choice in the EOS Rebel XS and XSi, EOS 40D and 50D, EOS 5D Mark II, and both the EOS-1D Mark III and EOS-1Ds Mark III models. It’s totally different from the Long Exposure Noise Reduction which has been a part of EOS digital cameras for some time, and we’ll outline here some of the characteristics of this new option. Firmware updating is a very simple operation, but there are certain precautions you need to follow to do it successfully. Ensure you either have means to plug the camera into a power socket, or you have a fresh, fully charged battery in the camera. You will also need a CompactFlash card that you are happy to format and lose all data from. Auto Exposure Lock (sometimes called AEL) is a feature on all Canon EOS camera models, as well as some PowerShot cameras. It’s an excellent method of gaining added control over exposure, without losing the speed and convenience of automation. In fact, since most photographers today use some form of auto exposure the majority of the time, an understanding of how AE Lock operates can add a new dimension to their photography. This guide will provide tips on how to ensure accurate and consistent focus with your EOSsystem. Master concepts and practices such as Diopter Adjustment, AF Point Sensitivity, Micro-Focus Adjustment, and more that will help you better understand your camera's AFsystem. Familiarize yourself with the variety of features available on EF lenses, and how to effectively use them on EOS cameras. You may find it useful to have your EF lens(es) nearby as you review this information, to confirm what features they have and how they function. Learn how to customize your EOS camera for individual shooting preferences, unique photography styles, or to maximize camera performance for any situation. This Guide covers several of the most common Custom Functions across the EOS line, including how to access, save, and use each setting. Learn how to use Canon's EOS Utility software to manage and control an EOS camera connected to computer, either via USB or with a Canon Wireless File Transmitter.